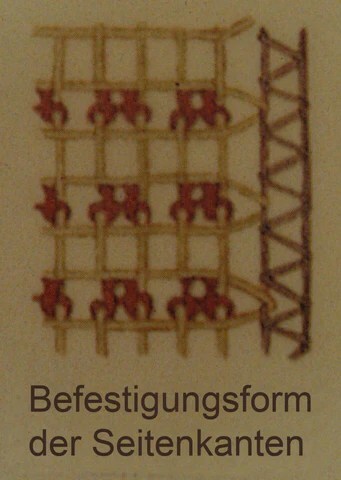 How to identify a fake from a real Persian rug! It is very easy for people to get scammed nowadays, so be aware of whom you are buying from. If you don’t know them or they have trouble in telling you exactly where when and how something is made, it’s probably best not to buy from them. Try your hardest to buy locally and from people you know and trust, its easy to get caught up on if what your buying is nice, but just be cautious. We at Babak’s Oriental Carpets feel sorry for whoever falls for scams, we’ve been in business for 21 years and the numerous stories we see and hear is ridiculous. We can only hope that over time people will stop buying from traveling salesmen and just buy locally or from people you know and trust. If you have any questions or concerns regarding carpets that you’ve bought from someone that you didn’t know, you can contact us at 250-480-7114 or come into our Victoria location at 919 Fort St. Again we hope that scammers get stopped immediately. Cheap imitation Turkish carpets have cost a 91-year-old Victoria woman $15,000, and the established rug dealer who broke the bad news to her is concerned the scammer is back in town. So happy to have had the opportunity to work with @liacrowe @arnoldlimvisuals and Boulevard Magazine. Very excited to see the rest of the photos that were taken! Boulevard Magazine with Babak’s Oriental Carpets and 2 others. https://issuu.com/boulevardlifestylesinc/docs/feb_mar_2016/83 Here’s a link to the article that we were featured in! 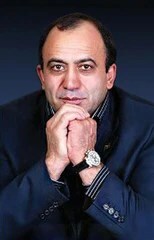 Ahad Azimzadeh Esphanjani was born in the city of Tabriz in 1957. He started school at the age of 7. But due to the loss of his Father and financial constraints of this family he could not continue with school. So instead of going to school he worked in the carpet weaving trade by day, and studied at night. By the age of 14 he was buying and selling small hand made carpets from the surrounding areas. Doing this enabled him to become part owner of a carpet store in Tabriz by the age of 18. At this time he was enlisted for military service, but was given an exemption because of the love of carpets and carpet making he had developed. At this point in his life he decided to take his carpet knowledge abroad. He travelled to Germany to gain more knowledge of the carpet industry. While there he realized that affluent people from around the world would often come to Europe seeking out highly desirable and rare carpets. Despite a language barrier he went to Geneva and collected as much information as he could before returning to Iran. 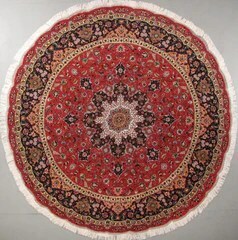 When he arrived back in Iran he decided to introduce round rugs to his production. 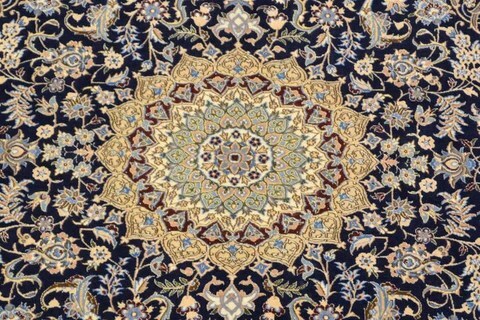 The introduction of the round designs was warmly received and brought change to the carpet making industry in Iran. He had now had two workshops, on in Tabriz, the other being in Isfahan. Between the two workshops he had 300 labourers between the two workshops. He once again travelled to Europe. This time he was more determined to find out what carpets were more desired, specifically in design, colours, and size. 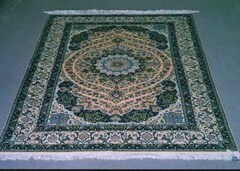 With the information he collected he returned to Iran and started to produce carpets that suited the areas he had visited. At this time he also bought a shop, as well as a warehouse in Tehran. 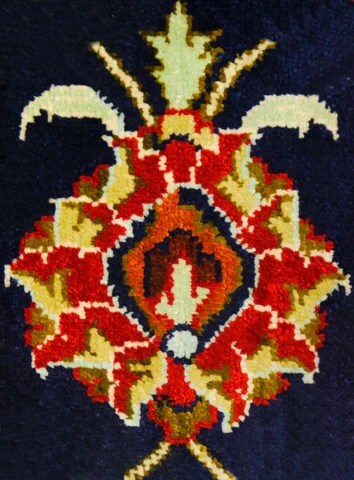 In 2001 he travelled to England and was awarded the International Golden Trophy for hand woven carpets. This award was for Quality and Management and Job Prestige. Within a year he had established a permanent exhibition of precious handmade carpets in the city of Tehran. 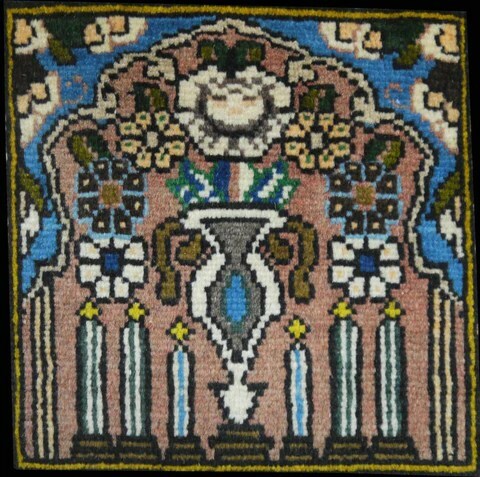 This exhibition is known has the biggest and most through collection of Iranian rugs. He was then honoured in New York City with the Platinum Category trophy as the most successful trader in the carpet industry. He believes he was awarded this prestigious award because of his perseverance, business management, and fulfilling customer’s needs. As well as his innovations brought to the industry. His dedication to the industry has been unparalleled, and he attributes his successes to mainly, truth and honesty. As well as having a positive impact on the industry itself, he prides his achievements on his company’s impeccable customer service. After 20+ years in the industry his achievement and innovations have made Ahad Azimzadeh an important figure in carpet making history. Mohammad Seirafian – Best of the best! 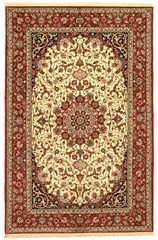 The Seirafian Family is known for the highest quality carpets coming from the Iranian city of Isfahan. These Seirafian Isfahans are considered the best of the best. They became very famous for their incredible construction, impeccable quality, and beautiful design. The tradition dates back to 1939, when Haj Agha Reza Seirafian (1881-1974) left the banking and investment trade to enter the carpet business. He entered the trade by acquiring two unfinished carpets from a master-weaver for money he was owed. He completed those two rugs, and then set out to improve the quality of Isfahan carpets by tripling the knots per square inch. By doing this the knot counts jumped from 270 k/psi to 500 k/psi and higher. He also made sure the highest quality materials used. Major upgrades to materials was almost exclusively using pure silk warp and wefts, kurk wool, as well as silk in the pile. 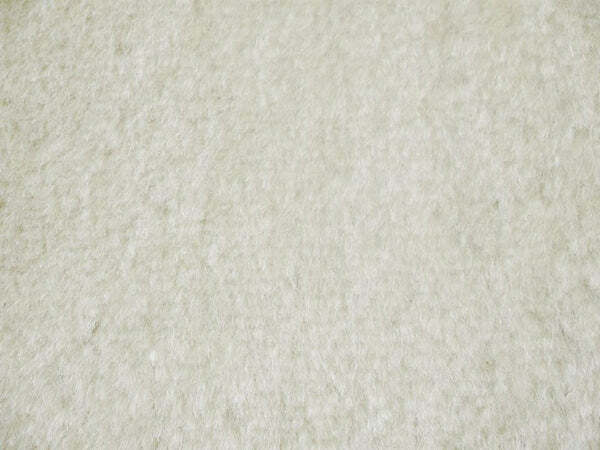 Kurk wool is sheared from the chest and shoulders of lambs and is one trademark of a premium Persian Seirafian rug. This fine wool is what allows the weavers to achieve such a high knot count. 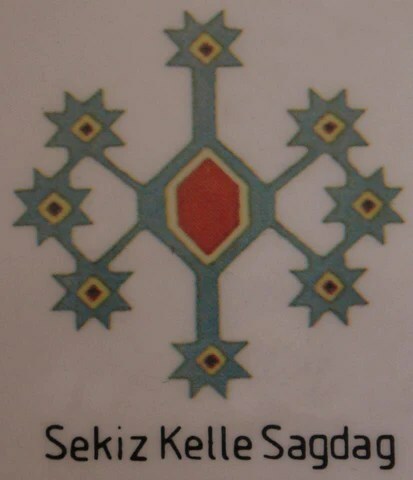 Almost all Seirafian are branded with their trademark signature “Bafte Iran Esfahan Seirafian.” This is written in Farsi and knotted right into the pile of the carpet. At the beginning although Seirafian rugs were admired for their quality, some competitors were disgruntled. Seirafian was sued by other carpet makers in the city, alleging he was paying his employees to high a wage. They stated that this made for unfair competition to procure skilled weavers. Luckily, the courts ruled in favour of the Seirafian Family. They were able to continue to produce high quality carpets and pay their employees a fair wage. Through the years more and more family members became involved. Seirafian’s seven sons all entered the family business. One of them being Sadegh Seirafian. Who joined the business shortly after graduating high school. He showed great skill and imagination when it came to his designs. Some of his famous and revered works include Flower Garden, Phoenix, Love Garden, and Seirafian Paradise. 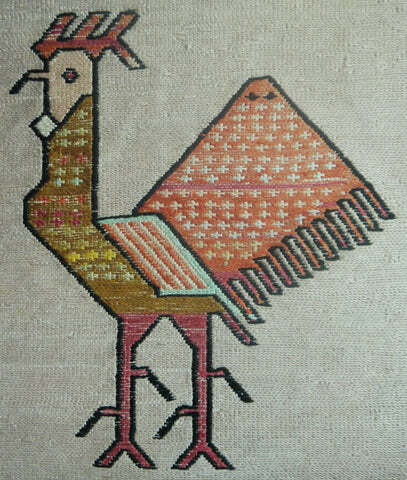 Also Sadegh’s older brother Mohammad became a very highly skilled weaver. 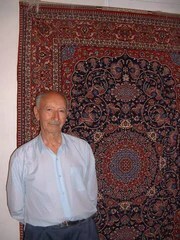 He was 19 when he first started producing carpets, which was also the same time his father (Haj Agha Reza) started. 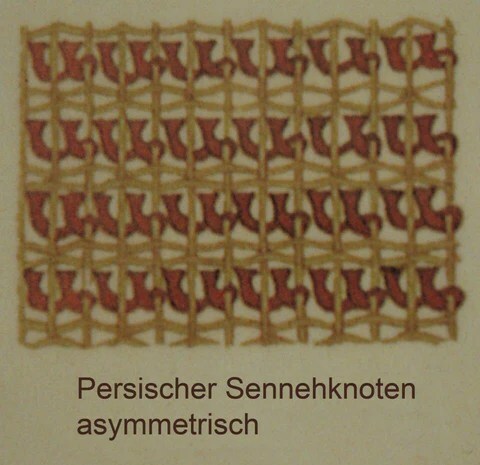 His work is of the utmost quality and is very often cited in books and publications when referencing “Seirafian Carpets”. One of his works is featured in “The Encyclopedia of Persian Carpets” that states it is a “master piece among the master pieces of this century.” Another notable Mohammad produced piece is a 25 square foot carpet that he donated to the UN. It now hangs on the wall in the UN Auditorium in New York City and is considered one of the most valuable carpets in the world. Mohammad wove a verse of a poem into the body of the carpet with pure gold. The poem is by Iranian poet Sheikh Musleh-Uddin Sa’di Shirazi. The verse is from a poem entitled Oneness of Mankind. “All men are members of the same body, Created from one essence. If fate brings suffering to one member, The others cannot stay at rest. The tradition was handed down yet another generation to Mojtaba Sierafian. 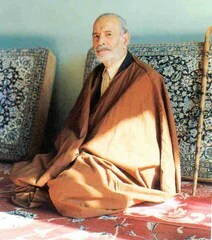 Mojtaba was the first son of Mohammad and first grandson of Master Haj Agha Reza Seirafian. From an early age Mojtaba was seeing the master works of his father and grandfather. While still in high school, at the age of 16 he began weaving carpets on his own. He attended the National University of Iran, attaining Bachelor of Arts in Economics. He furthered his studies at Cambridge studying English for a year. He then returned to Isfahan and started producing carpets seriously. His carpets were keeping with the family tradition of utmost quality and craftsmanship. He now uses his knowledge of Seirafian Isfahan Carpets to prepare certificates of origin. The legacy that Master Haj Agha Reza Seirafian began has in total been carried on by seven sons and twenty-four grandsons throughout the years. 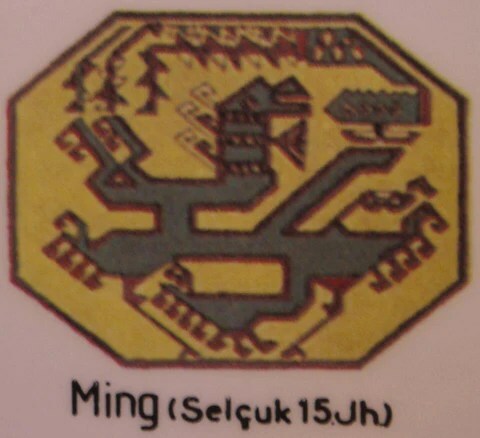 The number of workshops expanded as other relatives (cousins or uncles) of the founder were brought in and eventually received the approval of the Seirafian’s as competent rug producers. Thirty-two workshops with the Seirafian name have been opened throughout the years. 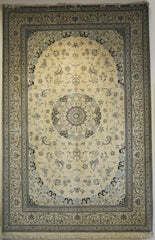 The carpets are not only revered for their magnificent beauty and craftsmanship. They have also become highly collectable pieces of the last centuries art history. The name Seirafian is synonymous with Persian Carpet quality. Below is just a sampling. 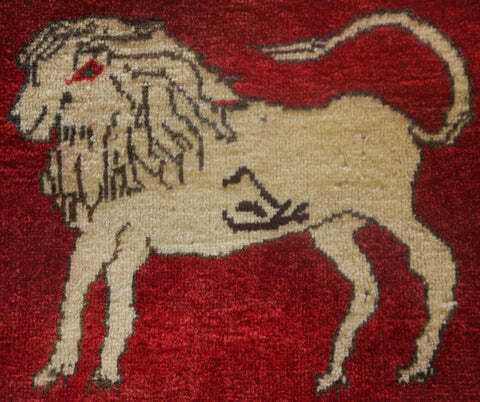 To see more Persian symbols please view our Facebook album by clicking here. A circular arrangement of motifs radiating out from the centre medallion suggesting the petals of a rose. 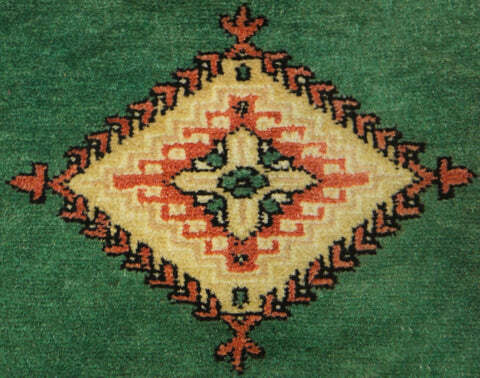 The Rosette design is often found in Nain rugs. The lotus was of great significance to many ancient cultures, and in particular to the Eastern religions. From ancestral times, the lotus regularly appears as a symbol of purity, peace, transcendence, enlightenment, rebirth, beauty, and fertility. The idea of enlightenment is symbolized by the life cycle of the sacred lotus plant because it begins its life humbly in the mud of ponds but soon grows and sends stems and flowers well above the surface of the water (up to 50cm), thus showing the path of spiritual unfoldment. Two diamonds attached together represent a man and woman. 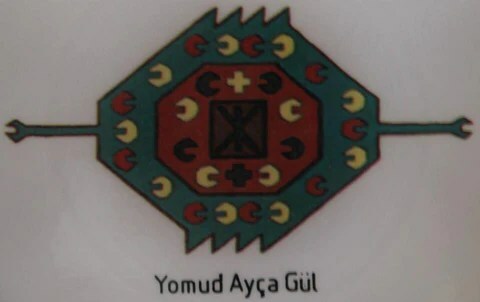 This symbol’s meaning dates back to prehistory and is also believed to be the stylized representation of a pregnant woman. Symbolizing flight, freedom and the associated concept of good news brought from far away. Is a semicircular niche in the wall of a mosque that indicates the qibla; that is, the direction of the Kaaba in Mecca and hence the direction that Muslims should face when praying. 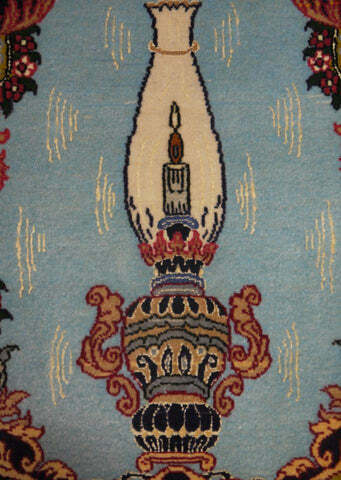 Lamp design which appears on the prayer rugs symbolise the divine guidance and the light showing the true path. This also represents the God who is depicted as the light of the Heaven and earth. The lamp is suspended from the summit of the niche. The butterfly is, for the Eastern understanding, not, as it is for the Western, a symbol of instability and fluttering mind but rather a symbol of the most faithful love, which is oblivious of itself and sacrifices itself. The Herati design derives its name from the town of Herat, now Afghanistan, which was part of Persia until the last Century. It is composed of a single floral head within a diamond framework flanked by four outwardly curling leaves. It is sometime referred to as the mahi or fish in the pond design. ( mahi being the Persian word for fish) because many traditional sources have cited this as its symbolic origin. In Persian mythology the world was supported by four swimming fish. 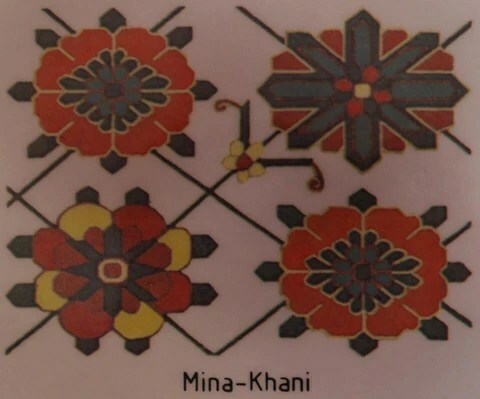 ‘Gul’ is Farsi for flower and is normally used to describe these octagonal, all over or repeated patterns. This pattern is made up of repeated daisies interlinked by diamond (often curved) or circular lines. 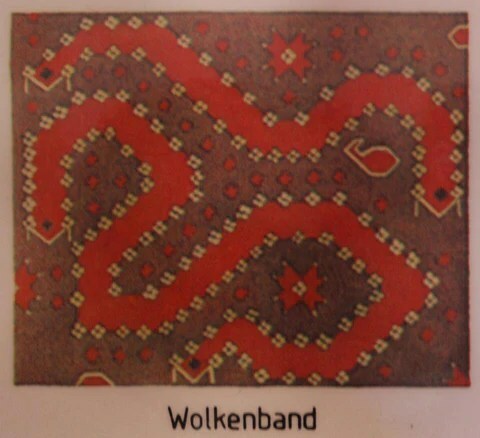 Flat woven carpets are given their colour and pattern from the weft which is tightly intertwined with the warp. Rather than an actual pile, the foundation of these rugs gives them their design. 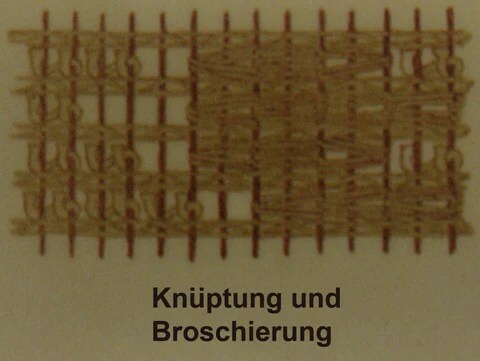 The weft is woven between the warp until a new colour is needed, it is then looped back and knotted before a new colour is implemented. 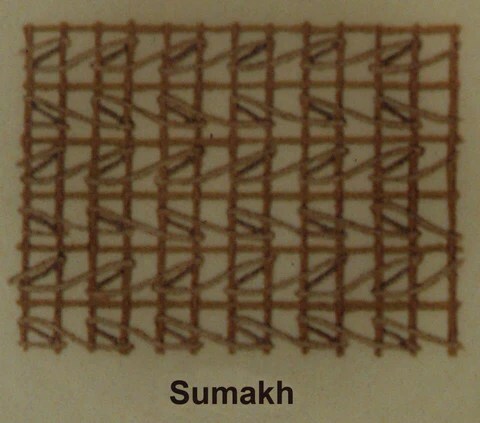 The most popular of flat-weaves is called the Kilim. 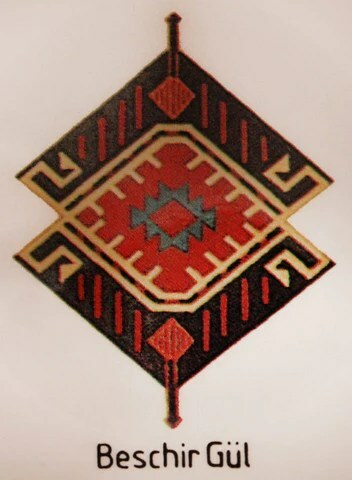 Kilim rugs (along with jewellery, clothing and animals) are important for the identity and wealth of nomadic tribes-people. 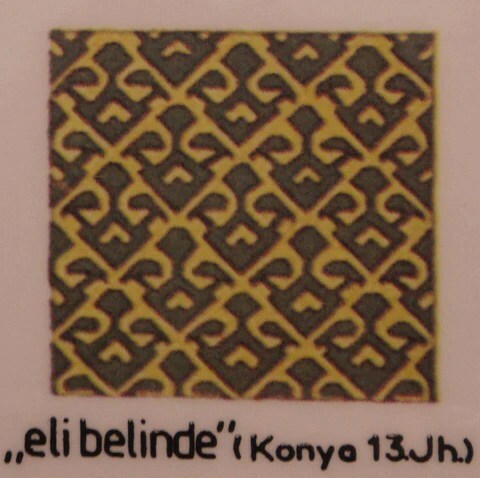 In their traditional setting Kilims are used as floor and wall coverings, horse-saddles, storage bags, bedding and cushion covers. Cotton C6H10O5 is a polysaccharide (straight chain polymer of glucose) which comes in an alpha and beta configuration. Beta linkages have the linking OH bond on the same side as the CH2OH. Alpha linkages have the linking OH bond on the opposite side of the CH2OH. 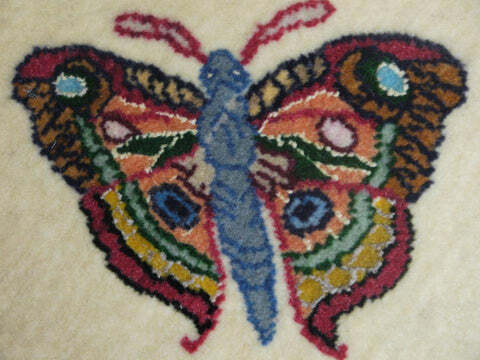 Mercerization is a treatment of cotton thread. 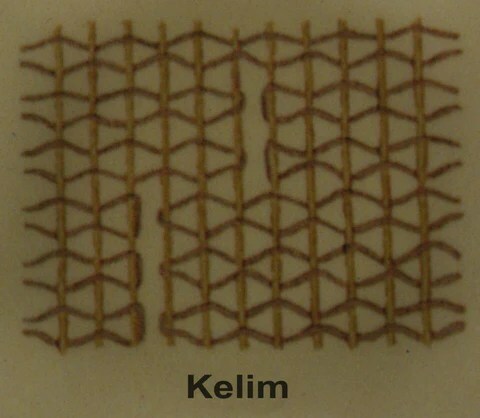 Immersion of cellulose in NaOH swells the cell walls and converts the cotton cells from alpha-cellulose to thermodynamically more stable beta-cellulose. The reaction is then neutralized by an acid bath. The result is to give cotton a lustrous look, increased strength and makes it easier to absorb dye (larger surface area). It can be used to IMITATE silk. 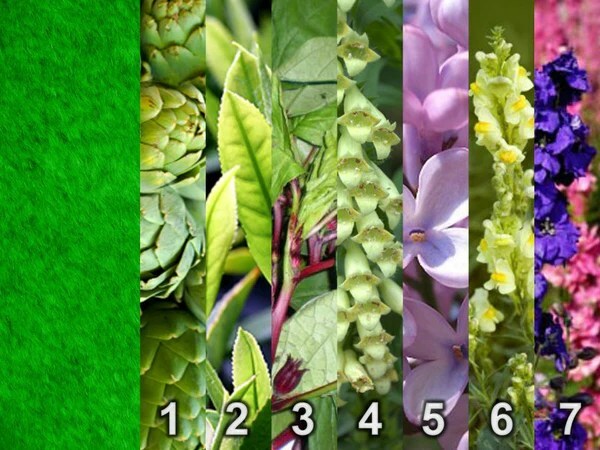 Natural silk is a fibrous protein composed of several amino acids. It is found in the cocoons of the Mulberry silkworm. The chemical structure is prism-like and refracts light giving an iridescent look. 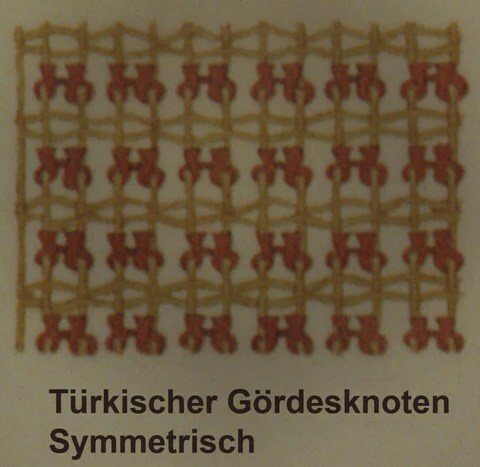 Artificial silk is usually mercerized cotton. Viscouse Rayon (1st artificial fiber) is similar and is made by extruding dissolved pure cellulose (from cotton or wood pulp) into a chemical bath producing long filaments. Rub the carpet vigorously. Real silk will feel warm, fake silk will stay cool. Burn a small portion (i.e. fringe etc.). If the thread(s) are cellulose (cotton) the ash will be smooth and chalky and the smell will be like burned paper. The sample will continue to burn if the flame is removed and leave a glowing ember. 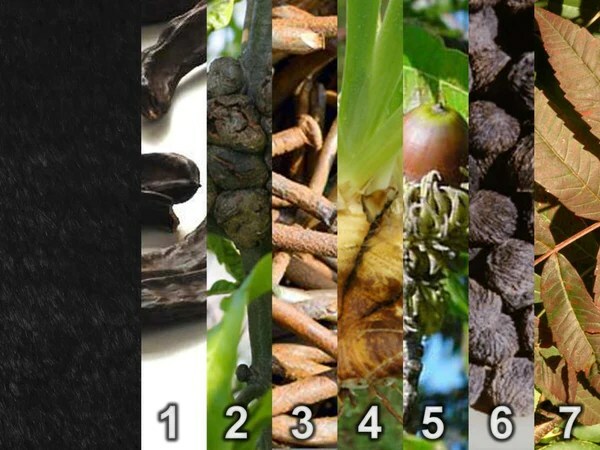 Real silk will give a black crispy ash that powders easily and the smell of burnt hair (also a protein). The flame is invisible and it will stop burning as soon as the test flame is removed. There is little to no smoke. Dissolve it in a solution of 16 gr. Copper Sulfate (CuSO4) in 150 ml. water with 8-10 gr. Glycerine, or glycerol (C3H5(OH)3). Then add NaOH (lye) until the liquid is clear. This solution will dissolve a small sample of real silk (couple of min.) but leave fake silk unchanged. – Artemisia species provide a range of greens from baby’s breath to nettle green. – Lily-of-the-valley (light green) be careful what you do with the spent dye bath. The plant is toxic so try to avoid pouring it down the drain into the water supply. 1 Saffron (stigmas) – yellow – set with Alum. – Yellow cone flower (whole flower head); chrome mordant; Brass to Greeney-Brass. – Onion (skins) – set with Alum. 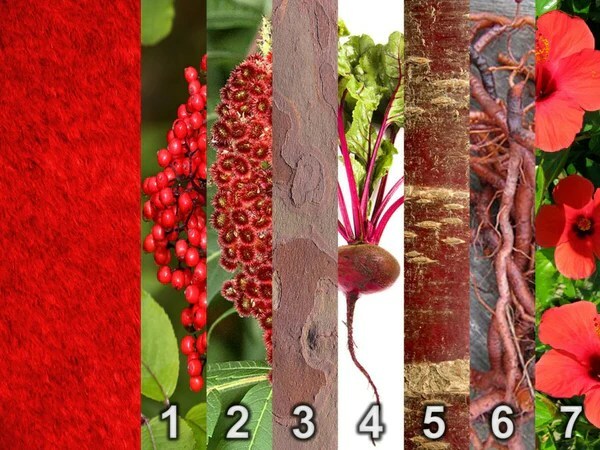 – Sumac (bark) – The inner pith of Sumac branches can produce a super bright yellow color. – Mullen (leaf and root) pale yellow. *careful, because the little fuzzy hairs can make one itchy! – Hickory leaves (yellow) if plenty of leaves are boiled and salt added. 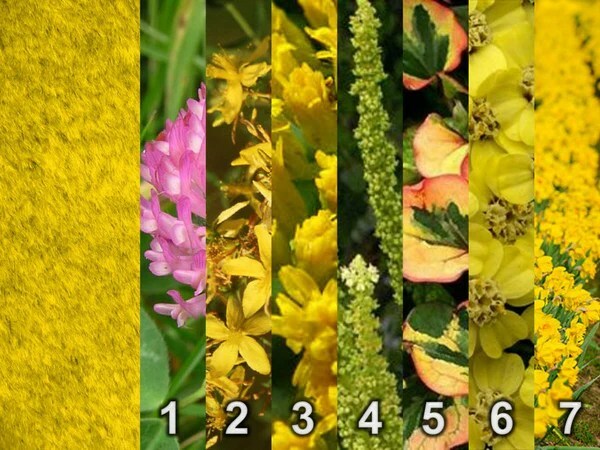 – Yellow, Curly, Bitter, or Butter Dock (despite various leaf shapes, all have a bright yellow taproot) gives you a yellow/flesh color. – White mulberry tree (bark) Cream color onto white or off-white wool. Alum mordant. – Oxallis (wood sorrels) (flowers) – the one with the yellow flowers. Use the flower heads, some stem ok. It is nearly fluorescent yellow, and quite colorfast on alum mordanted wool. If the oxalis flowers are fermented or if a small dash of cloudy ammonia is added to the dyebath (made alkaline) the fluorescent yellow becomes fluorescent orange. Usually I do this as an after-bath, once I have the initial colour. Useful for shifting the dye shade, and some good surprises in store! 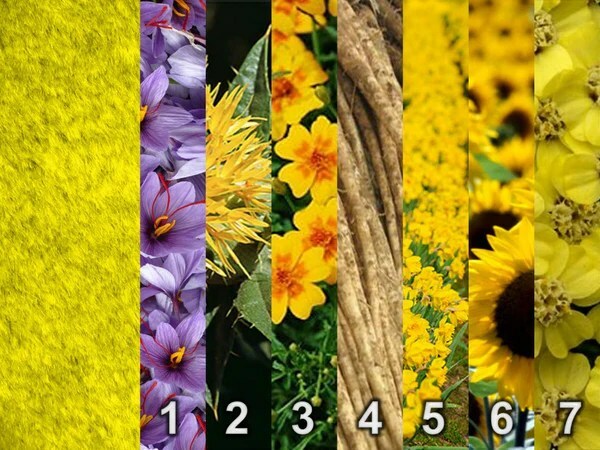 – Dahlia Flowers (Red, yellow, orange flowers) make a lovely yellow to orange dye for wool. 2 Bloodroot will give a good orange to reddish orange color. 4 Turmeric dyed cloth will turn orange or red if it is dipped in lye. 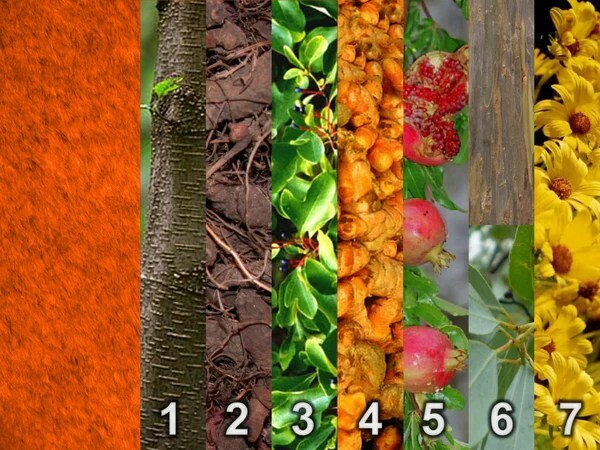 6 Eucalyptus – (leaves and bark) beautiful shades of tan, orange and brown. 7 Giant Coreopsis (Coreopsis gigantea) Yields bright permanent orange with alum. – Barberry (mahonia sp.) yellow orange (with alum) very strong & permanent. Any part of the plant will work. 2- Oak galls – makes a good black dye. 3- Rusty nails & vinegar – set with Alum. 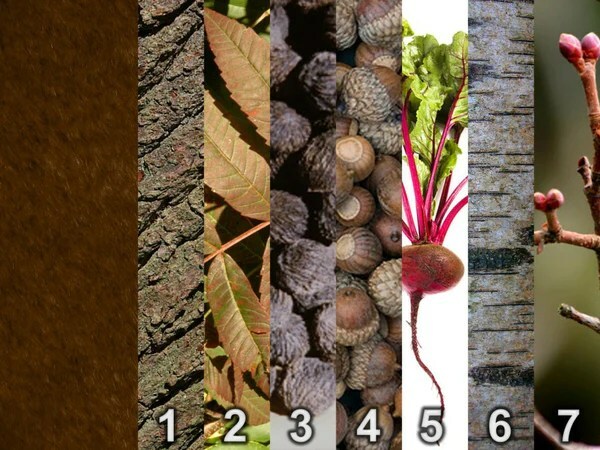 1 Oak bark will give a tan or oak color. 7-Maple Trees (Red Leaf Buds) – red-brown color when dried. Found on branches before new leaves appear only present during early spring and throughout fall. – Wild plum root will give a reddish or rusty brown. – Amur Maple (Acer Ginnala) – black, blue, brown from dried leaves. – Pine Tree Bark – light medium brown. Needs no mordant. – Red leaves will give a reddish brown color I use salt to set the dye. 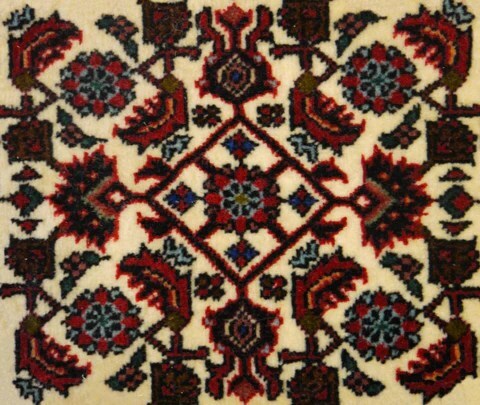 Fatollah Habibian is known as the “Father of Nain Rugs.” He was born in 1903 in the city of Nain. He knotted his first carpet as a school boy. He left Nain in his teenage years to become an apprentice at a carpet making workshop. 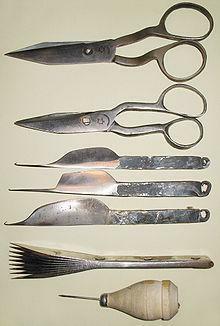 He returned to Nain and opened, along with his brother Mohammad, their own workshop in 1920. 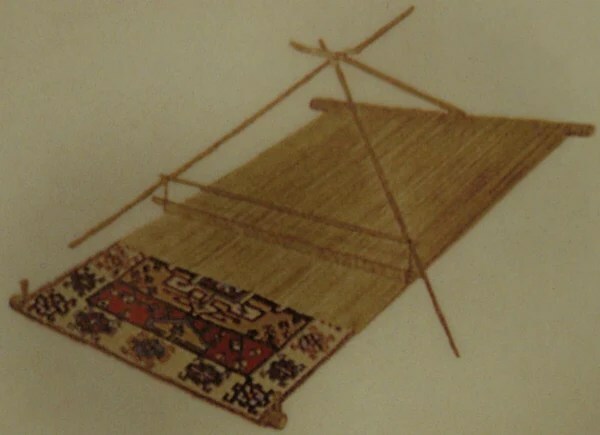 Fatollah had always shown a natural gift of carpet making. By the time of opening the shop he had already mastered the skills to create very fine rugs. Fatollah and Mohammad began making very fine rugs, often out of pure silk. 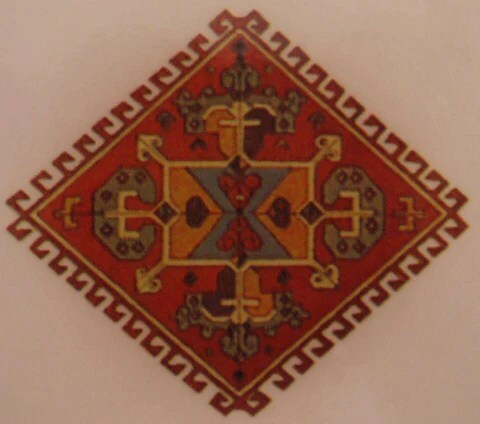 His craftsmanship and artistic vision almost singlehandedly shaped the face of Nain carpets as we know them today. Always incorporating beautiful colours and intricate designs, a Habibian Nain is always an incredible example of exemplary carpet making. 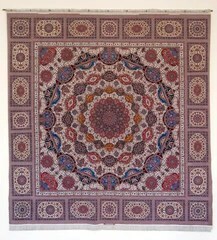 Nain carpets are known for their beautiful designs and unique colour palate. The design is, in most cases, made up of an ornate medallion, surrounded by elaborate floral designs. 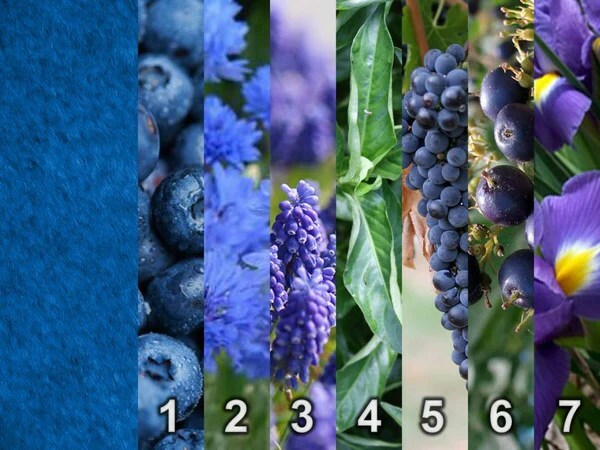 The colours used are almost always ivories, creams, and greys, amongst blues ranging from light (commonplace) to darker hues. 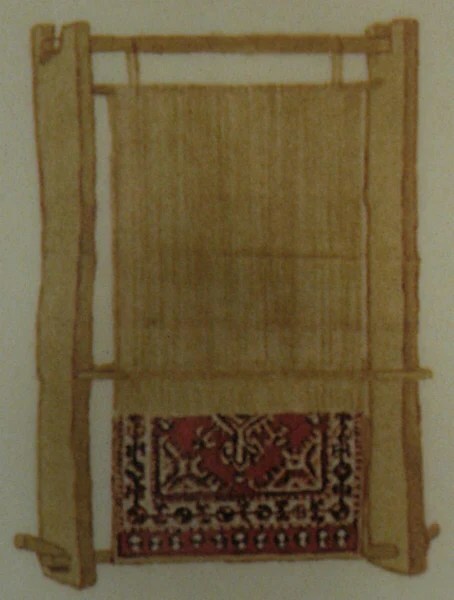 The pile of the carpet is usually quite short and silk is often used to highlight the designs. Nains are decorative while still being hard wearing carpets. 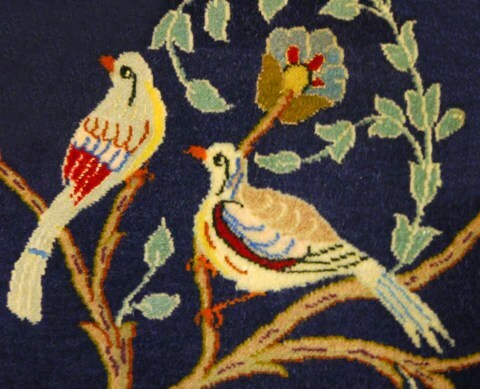 Fatollah continued to make carpets well into his eighties, as well as teach the craft to others. He passed the business onto his Grandson, Mamud Reza Habibian. Master Fatollah Habibian passed away in 1995. Habibian Nains made by the Master Fatollah Habibian have become increasing harder to find as the year go by. They still produce Nain carpets under the Habibian name, the quality is still very good, but they are produced at a much slower rate. 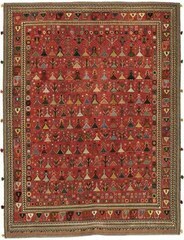 A Habibian carpet is an exceptional example of carpet making in the 2000 century. Their impact is one of noteworthy excellence in design, quality, and craftsmanship.